On December 26th, 1811, a fire that started during a play killed 76 people including the Governor of Virginia. Find out more, watch this video~! The 1811 Richmond Theatre fire occurred in Richmond, Virginia, United States on December 26, 1811. It devastated the Richmond Theatre, located on the north side of Broad Street between what is now Twelfth and College Streets. The fire, which killed 72 people including many government officials, was the worst urban disaster in American history at the time. A monument church was erected on the site as a memorial to the disaster. The site was known initially as the first Academy of Fine Arts and Sciences in America, and subsequently "The Theatre Square." Chevalier Quesnay de Beaurepaire, a French officer who served in the American Revolutionary War, had developed the idea for the academy but the plan was abandoned due to the war. Richmond's first theatre, a barn-like building, opened its doors on October 10 1786 for the first time with a performance of School for Scandal. The Virginia Ratifying Convention of 1788 was held in this building beginning on June 3 for three weeks "after first convening in the temporary capitol at Cary and fourteenth streets." Among the many individuals in attendance were James Madison, John Marshall, James Monroe, Edmund Pendleton, George Wythe, George Nicholas, Edmund Randolph, George Mason, Richard Henry Lee, and Patrick Henry. This building was destroyed by fire in 1811. A new multi-storey brick theatre was erected around 1810 on what was at the time the north side of H Street (now Broad). There was an orchestra section, a first balcony, and an upper balconies, with narrow doorways. The evening of December 26, 1811 at the Richmond Theatre was a benefit for Alexander Placide and his daughter. The program was a double billing: first, a play entitled The Father, or Family Feuds, and after it, a pantomime entitled Raymond and Agness, or The Bleeding Nun. The benefit originally had been scheduled for December 23, but was postponed due to the death of Mrs. Poe, Placide's own illness, and foul weather. It being Christmas time and the last opening of the season, on the theatre December 26 was packed with an excited audience of 598 people, with 518 adults and 80 children to view the pantomime which commenced immediately after the play was finished. The fire started after the curtain fell following the first act, when the chandelier was lifted toward the ceiling with the flame still lit. The lamp became entangled in the cords used to lift the chandelier and it touched one of the items used in the front scenes, which caught fire. As soon as the boy worker who was operating the cords saw the flames, he fled the building. The flames rose up the scenery and spread from one hanging scene to the other; there were 35 such hanging scenes which could be lowered. There were, in addition to the hangings, the borders that provided the outline of the building, the skies and so forth. All of these caught fire sequentially. Pine planks (with shingles over them) fixed over rafters with no plastering and ceiling spread the flames, which fell from the ceiling and spread extremely rapidly. The impact of the fire was worsened because the stage curtain hid the initial flames from the audience. The theatre had multiple exits: a little known side-door was used by those in the orchestra and back stage while an upper balcony exit was a clear way out. In the panic of the fire, many people were pushed and fell, and they were unable to escape. Many people jumped out of the windows of the theatre. Others who were assembled near the window were afraid to jump out. The editor of the Richmond Standard, present at the scene, urged people to jump out. He, with help from many others on the ground, then heroically saved the lives of many of those who jumped out of the windows. 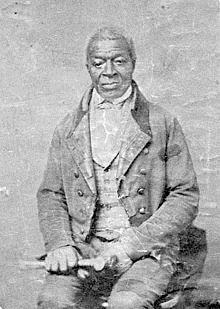 Also credited with helping save lives was Gilbert Hunt, a former slave who had purchased his freedom, then a blacksmith whose shop was located near the theatre. Along with Dr. James McCaw, a physician who was attending the theatre that evening, Hunt was credited with saving close to a dozen people. McCaw would lower them from the burning second story, and Hunt would catch them. Hunt also saved McCaw, who jumped just as a burning section of wall was about to fall on him. Today Hunt is memorialized by a historical marker on the site. A book entitled, Gilbert Hunt, the City Blacksmith later was published in his honor and to provide financial assistance for him in his old age. Of the 72 who died in the fire 54 were women and 18 were men. Among the victims were Virginia's sitting governor, George William Smith, and former senator Abraham B. Venable; the governor had purportedly tried to save his child from the burning fire. Also killed were Benjamin Botts, of Dumfries, and his wife; Botts had made a name for himself as a member of the defense in Aaron Burr's 1807 trial for treason. Dr. Robert Greenhow, later the husband of noted spy Rose Greenhow, survived the fire along with his father; his mother was killed in the blaze. Another survivor was former representative John G. Jackson. George Tucker, who became the University of Virginia's first Professor of Moral Philosophy, narrowly escaped with his life, after being struck in the head by a timber which left a permanent scar. The ordinance for building the monument for the victims was further modified by a Resolution of the Common Council of the Richmond city to erect a Church at the site, as a further commemoration of the victims of the fire. The City Council also sanctioned an amount of US $ 5000 as its contribution toward the building of the church by the 'Association for building a church on Shockoe Hill". Thus the Monumental Church was built on the Richmond Theatre site between 1812 and 1814 to commemorate those who had died from the fire. The Episcopal church was commissioned by Chief Justice John Marshall. It was designed by architect Robert Mills, the only pupil of Thomas Jefferson; Mills was also the architect of the Washington Monument and White House of the Confederacy. Mills "had a reputation for being particularly concerned with fireproofing," probably owing to his work on Monumental, and later in his career designed Charleston's Fireproof Building as a testament to that fact. The church was built in an octagonal shape. The marble monument in the form of an urn erected at the church contains the names of 72 victims of the fire, inscribed on its four cardinal faces. The monument is enclosed within a wired fence. It is located in the central yard of the memorial church, in the middle of the church's front or main portico. The remains of the dead lie in a crypt below the portico. On the monument, the names of the male victims face Broad Street. The names of female victims are found on the remaining three sides. Six of the known victims were black, and at least one was enslaved. Their six names are carved below the names of the 66 white victims on the monument's base. Although the monument lists only 72 victims, at least 76 were known to have died in the blaze or in the days immediately following the disaster. Monumental Church established the first Sunday School program in Richmond on November 20, 1817. Famous parishioners included Chief Justice John Marshall, whose family occupied pew No. 23; Edgar Allan Poe, whose foster parents, the Allans, were members and occupied pew No. 80; the Marquis de Lafayette when he visited Richmond in 1824; William Mayo of Powhatan; and the Chamberlayne family. Three Richmond congregations were formed from Monumental, including: St. James's in 1831, St. Paul's in 1845 and All Saints in 1888. Deconsecrated in 1965, it was given by the Medical College of Virginia to the Historic Richmond Foundation, an affiliate of the Association for the Preservation of Virginia Antiquities. In 2004, Monumental Church underwent a significant renovation, although the bodies of the victims are still in a brick crypt below the church. During the renovation, the original monument to the 72 people killed in the fire was replaced by an exact replica. The documentary Saving Grace-Resurrecting American History, written and directed by Emmy winning writer and director Eric Futterman, follows the process of using laser scanning to recreate the monument in computers, then sending the data to Ireland, where stonecutters used both high technology computer equipment and old-fashioned stone-cutting tools to create a new 7,000 pound monument. In 2006, regular tours began, in cooperation with the Valentine Richmond History Center's Court End Passport. The building is open on occasion for other private functions. Monumental Church was built over the site and today you can tour this site.